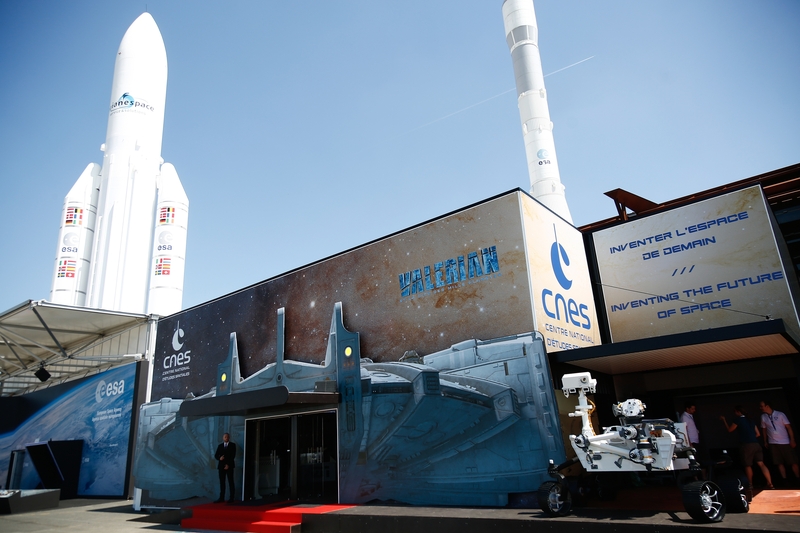 CNES was a focus of attention at the 52nd International Paris Air Show at Le Bourget, which comes to a close today. In addition to the many official delegations and trade participants from around the world, public visitors flocked to the CNES Pavilion. Revolving around the themes of innovation, climate and exploration, the pavilion was visited by President Emmanuel Macron and numerous government ministers. And astronaut Thomas Pesquet, as CNES’s guest throughout the show, performed an immersive virtual-reality trek on Mars while demonstrating that space continues to be the stuff of dreams.